The farmers are bearing the brunt of "the most widespread destruction ever seen in the Nebraska state's history." said Nebraska governor Ricketts. The floods are all due to a confluence of conditions that include the recent bomb cyclone storm, as well as frozen ground melting in the spring, warming weather patters and heavy rain. The bomb cyclone pummeled the region with low pressure, heavy rains and blizzard-like conditions before melting off and spawning floods that have forced more than 4,400 people to evacuate their homes. 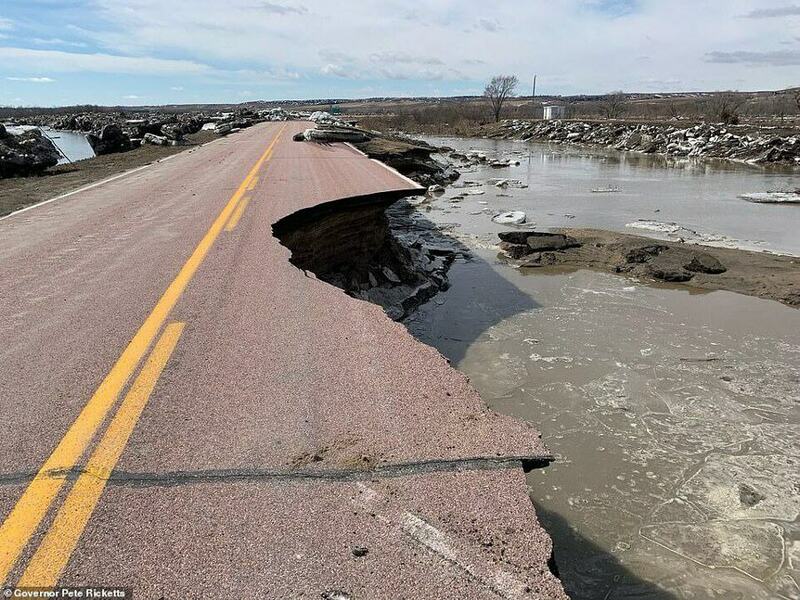 "Obviously we've got a lot of recovery left ahead of us,” Ricketts told CBSNews. "It's going to be a long road for us to rebuild our infrastructure and get people back in their homes." The floods have been nothing short of catastrophic: At least four people have died, and estimated farm loses could top $1 billion. Parts of 15 states are under flood watches and warnings with Nebraska in one of the worst conditions. After doing some research, the Marines Care Foundation decided to do as much as they could with the dwindling funds that we have in the foundation coffers. The foundation is going to assist the flood victims with the help of the donation that Bayer presented us at the Toys for Tots Day in December. We still had a bit left over after assisting North Carolina, Georgia and Florida in hurricane relief and California in assistance with the horrendous fires. The research we have been doing indicates that the town of Fremont, about 40 miles northwest of Omaha, became an island as the Platte River and Elkhorn River overflowed. So, after we found out who needs help, Junior Vice of the Nebraska Marine Corps League, Marine Jason House was contacted. While talking to House he said, “that Fremont was like an island. You cannot get in our out.” And went on to say, “we have no indication on how many homes were damaged or how many people needed rescue.” The flooded Platte and Elkhorn Rivers turned the town of Fremont into “a mandatory evacuation” area for residents by the Dodge County Sheriff's Office.